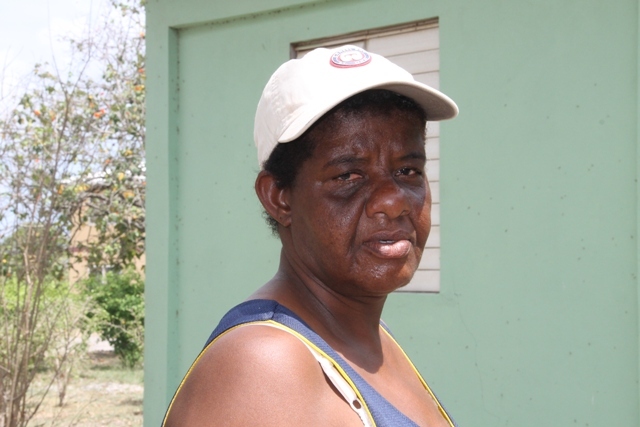 CHARLESTOWN NEVIS (JULY 07, 2015) — Vera France of Camps Village, a livestock farmer who owns pigs, sheep and goats said she is pleased the Department of Agriculture, through the Supply Office, is providing livestock farmers on Nevis, with an alternative supplement as the dry season continues. “It’s good because they want something sweet to eat beside their food. I well happy for it,” France told the Department of Information on July 07, 2015. She was one of several livestock farmers collecting molasses at the Prospect Agricultural Station. 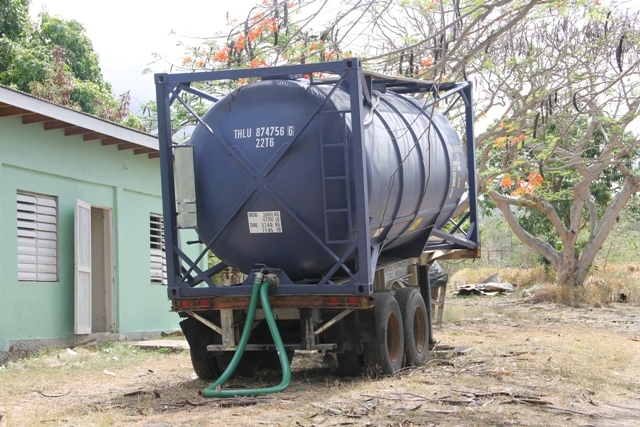 The molasses is being sold to farmers through a Nevis Island Administration’s Department of Agriculture/Supply Office initiative. Permanent Secretary in the Ministry of Agriculture Eric Evelyn in an earlier interview, explained that the Department of Agriculture took the decision to import the molasses following farmer’s repeated calls for assistance from the department and the Supply Office where they purchase feed. “Well, we are very happy to say we have purchased some molasses from overseas through the Supply Office and the molasses will be made available to our livestock farmers to assist you with supplementing the little feed that you do have for your animals,” he said. 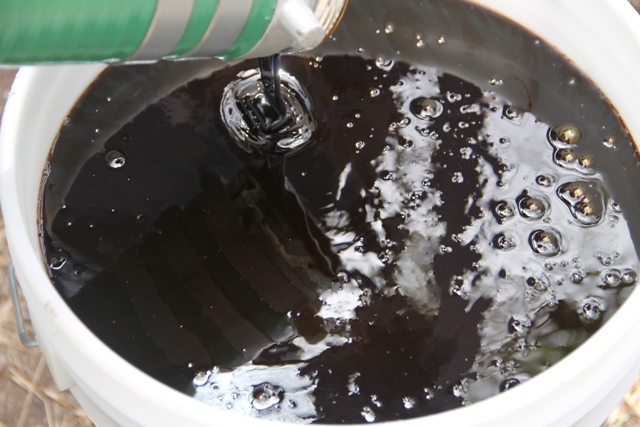 According to Evelyn, the molasses cost EC$100 per five-gallon bucket. Farmers are required to pay at the Supply Office then travel to the Prospect Agricultural Station with their receipt and five-gallon receptacle to get the molasses. He said he was hopeful farmers would take advantage of the availability of the molasses which would ensure that the animals would stay in a relatively good condition until the rains come. The molasses will be available every Tuesday till the supply is exhausted. 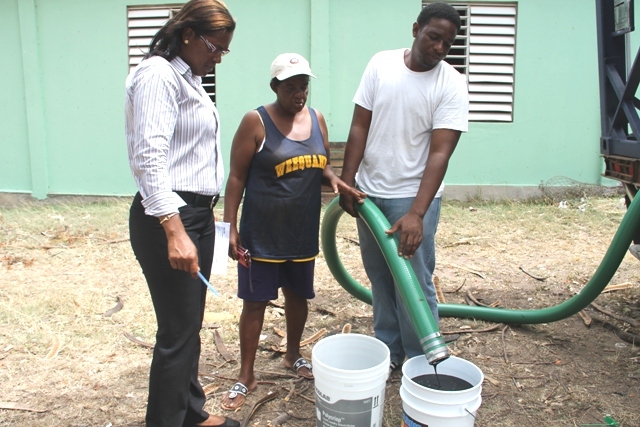 Meantime, Government Veterinary Officer Dr. Ambrose James said molasses is vital to the animal’s health during the dry season. It encourages them to drink more water and gives them the high energy needed to maintain their body.